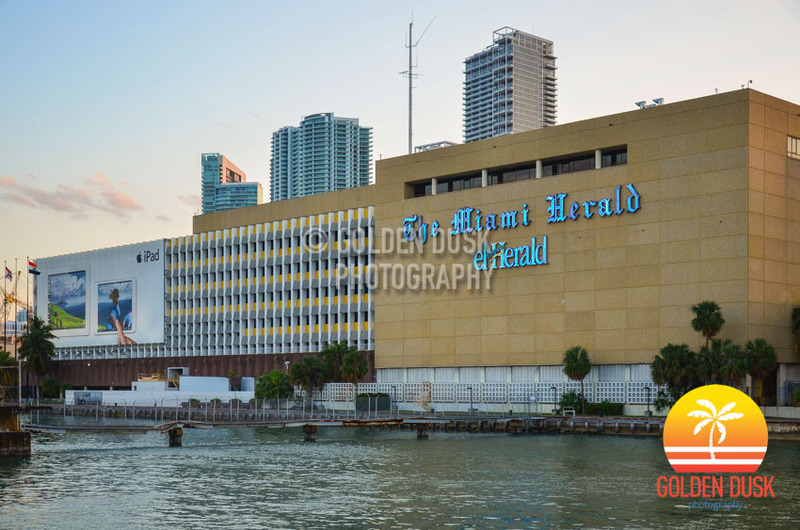 TBT (January 15, 2015) - 4 years ago the Miami Herald building was still under the process of being torn down after initially starting demolition April 2014. The building would be completed demolished in March 2015 and the site is now used to host events such as Art Basel. 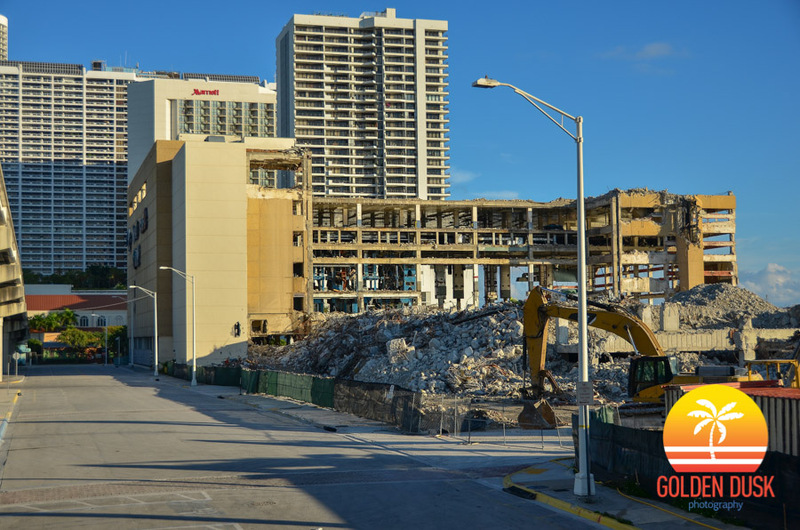 After months of slowly dismantling the Miami Herald building and beginning the official demolition in April 2014, the building is almost completely torn down. The Northern piece of the building is all that remains and should be fully down by the end of January. So far, there are no plans for construction in the foreseeable future. Getting has been quiet on the since gambling failed to become legalized. The Miami Herald reports that Miami Tomás Regaledo has not heard from Genting in months and they have not submitted any plans. Since buying the 14 acre site for $236 million there have been speculation that Genting plans to sell the site, especially for the demand of land on the waterfront. An aerial video of the building can be seen here. City Commissioners approved the closing of the street NE 14th Terrace to make way for a new bus terminal and 300 room hotel. In the meantime, a temporary bus terminal will be built by Resorts World Miami just East of the current site that will take will take 6 months. Genting purchased 14 acres of land, which included the old Miami Herald Building, for $236 million in May 2011 with plans to build a casino, hotel and condos. 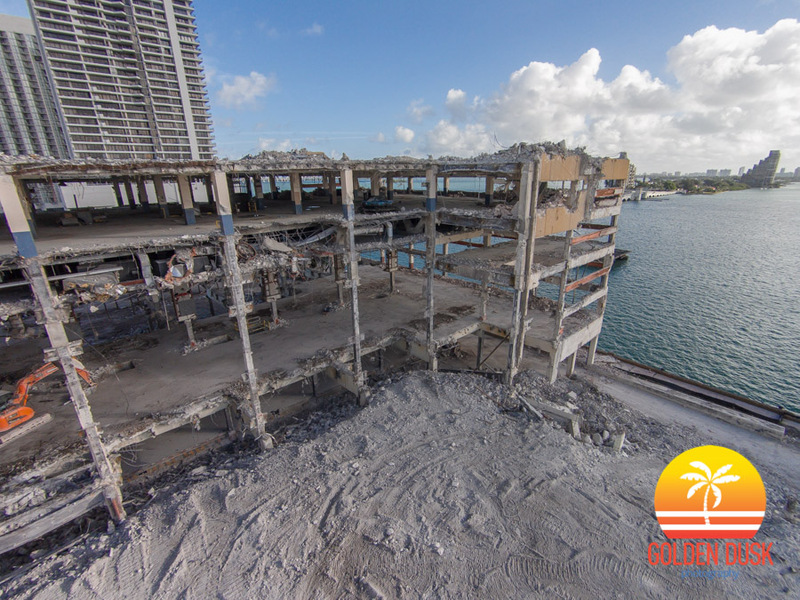 Built in 1963, the Miami Herald Building started to be demolished in April 2014 after being purchased by Genting Groupfor $236 million in 2011 before being completely torn down in March 2015. Since that time, Genting had plans to built a mega resort with hotels, condos and a casino and at one point there was talk that they would try and sell the land. A 36 story hotel with 300 rooms was approved in April 2017, at the current bus terminal, but activity has not started on that. 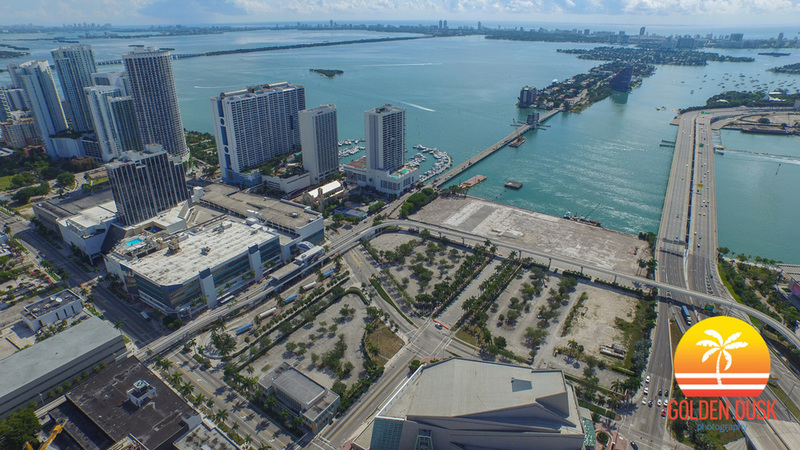 Since the Miami Herald Building next to Biscayne Bay has been torn down, the site has sat vacant aside from Art Basel events every year in December. 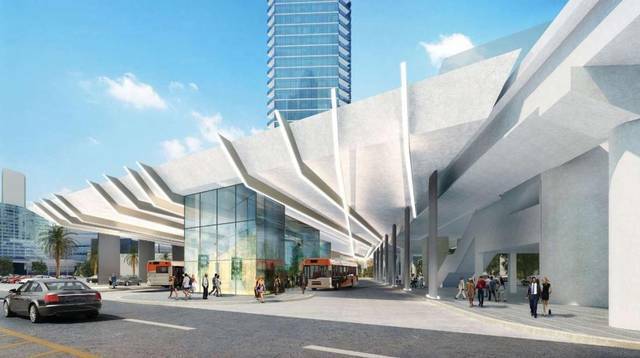 A month ago, Genting proposed a 300 room hotel over the Omni Station bus terminal and those plans have been approved with a deal by Miami-Dade Commissioners. 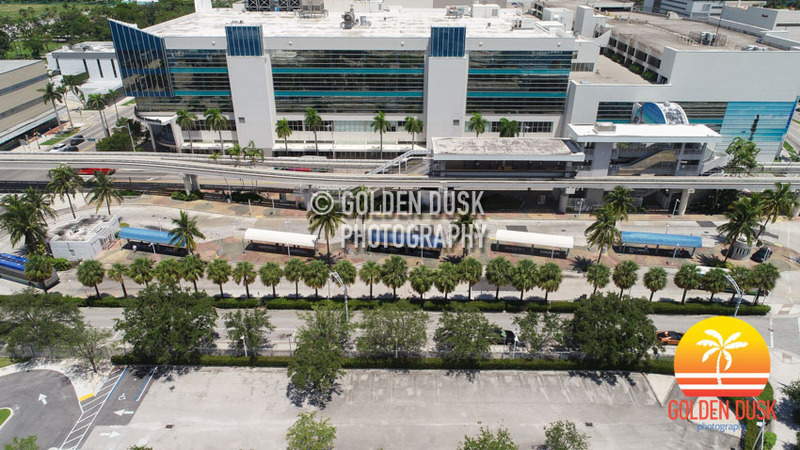 The 90 year lease includes renovating the bus terminal for $16 million and paying Miami-Dade County $10 million before it can begin work on the 36 story hotel. Genting has been lobbying for a casino on the site for years after purchasing 14 acres of land, including the old Miami Herald Building site, for $236 million. 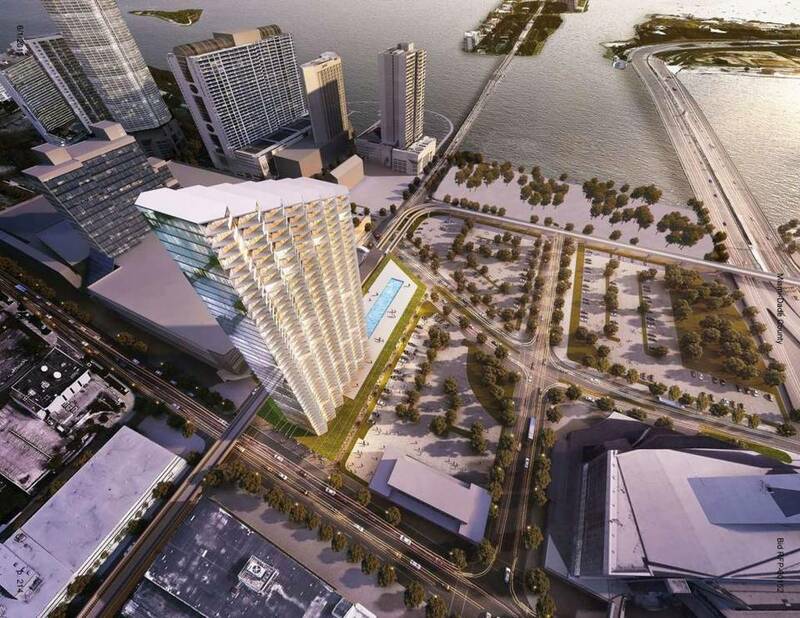 Genting has proposed building a 300 room hotel over the Omni Station bus terminal, according to The Miami Herald. County Commissioners approved the proposal giving Genting a 90 year lease for the public land. Part of the approval meant Genting will renovate the existing Metromover station on NE 15th Street. If the project gets built, then NE 14th Terrace would be permanently closed and the hotel would be built over a rebuilt bus terminal. Genting Group purchased the surrounding 14 acre site for $236 million in 2011, which included the old Miami Herald building with plans to build a casino that never materialized. Genting has submitted plans to the FAA for three towers at a height of 649 feet for the Resorts World Miami site, according to The Next Miami. The 14 acre site was purchased for $236 million in 2011 with plans to build a casino, but failed to get legislation. The location was the home of the former Miami Herald building that started demolition in August 2013, before being completed demolished in March 2015. Is Genting Flipping Former Miami Herald Land? The Miami Herald is speculating that the Genting Group might be looking to flip the 14 acres of land they purchased in 2011 for $236 million and even had a potential buyer look at the site. When the site was purchased, Genting planned to build a mega resort on the edge of Biscayne Bay that would also include a casino. Included in the purchase of the land was the former Miami Herald Building, which took almost a year to completely tear down. There was even discussion in 2014 with The Related Group to partner on a project, but plans never came to fruition. 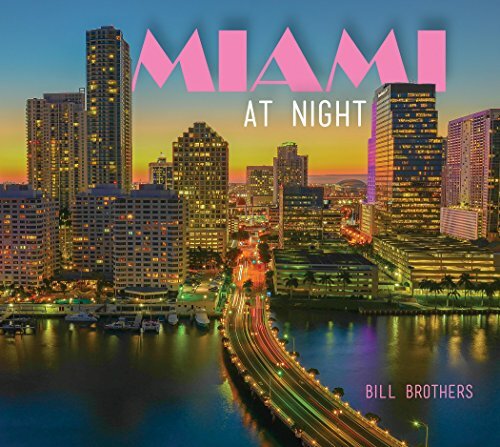 The only activity on the site is the renovation of the historic Boulevard Shops on Biscayne Boulevard.